Available in a range of sizes and plastic types, you can be sure to find the right beaker for your application. 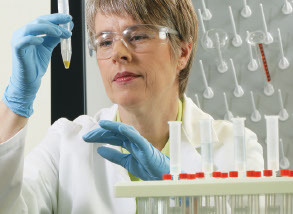 From Polypropylene beakers to highly resistant PTFE (Polytetrafluoroethylene) beakers, you will find what you are looking for at Thermo Fisher Scientific. Very good chemical compatibility with a wide variety of lab reagents including most acids, bases, alcohols, aldehydes, esters, and aliphatic hydrocarbons.